Quick Tip: Writing Winning Subject Lines — Den Aviary, Inc. While there's no way to write a perfect subject line, there are some best practices to follow. Campaign Monitor ran a study based on 3,941,735,015 recipients (!! 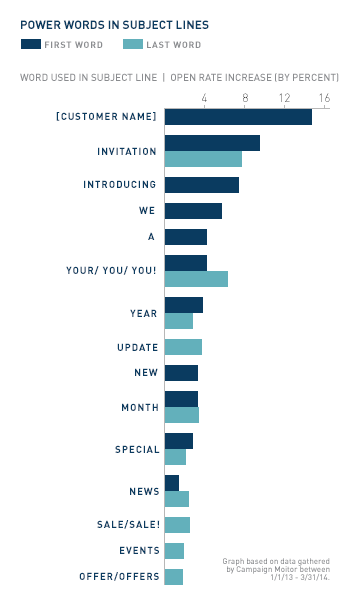 ), from 360,872 campaigns and found the 15 most powerful words in subject lines. The big takeaway? Personalization is key! Subject lines that included the recipient's name outperformed all other words. So when you're thinking about how to increase your email open rate, remember: it's all in a name!